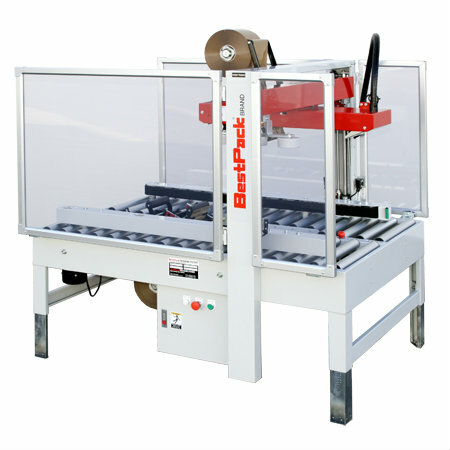 Random Sidedrive Low Profile 6"
The BestPack RSL Series Semi-Automatic Random Tape Carton Sealers are built for speed and rugged dependability. The low profile feature allows for lower sealing capabilities. The RSL can tape boxes at a minimum height of 2.5" compared to the normal 4" height. The 6" seal has been especially effective for those needing preventive measures for pilferage. Adjustable Bed Height from 20.25" to 30.75"
Tape Roll Lengths: 1000yd, 1500yd, 2000yd.